“En la Casona de Ángel, queremos que Ustedes estén como en la casa de los abuelos,” Ángel prompted, reaching for my weekend bag. 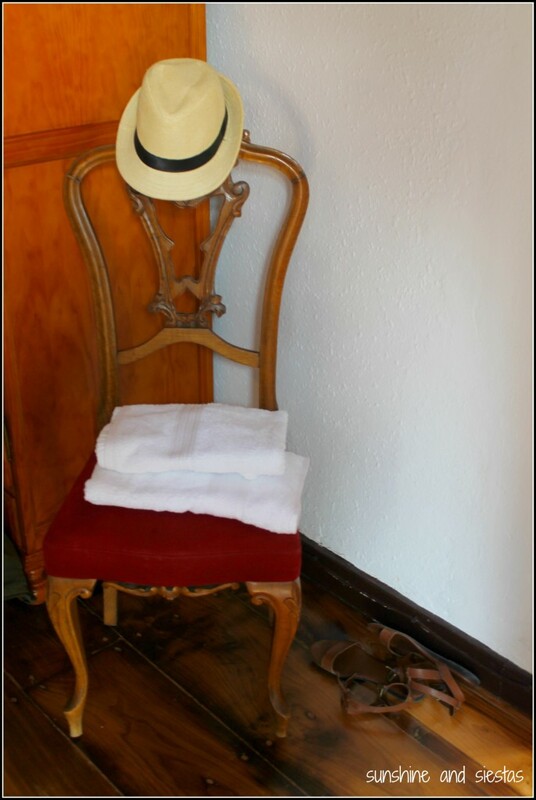 After five hours in the car from Madrid, I stretched my legs while breathing in mountain air and let the hotel owner carry my bag up wooden stairs. If Ángel said he wanted us to feel like we were at Grandma and Grandpa’s house, we’d certainly make ourselves right at home. 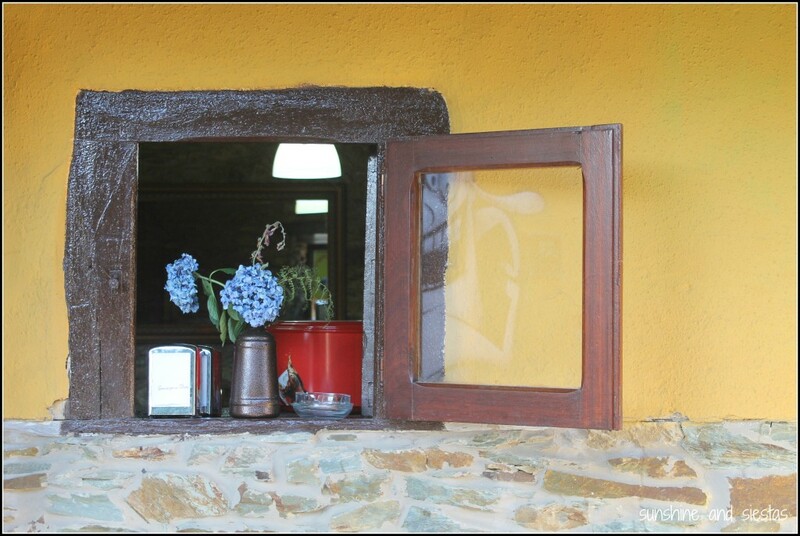 Clinging to the edge of a teeny Asturian village, La Casona del Faedo had been a budget find on one of the busiest weekends of the summer, where hotel rooms were going for three times the 40€ we paid per night. 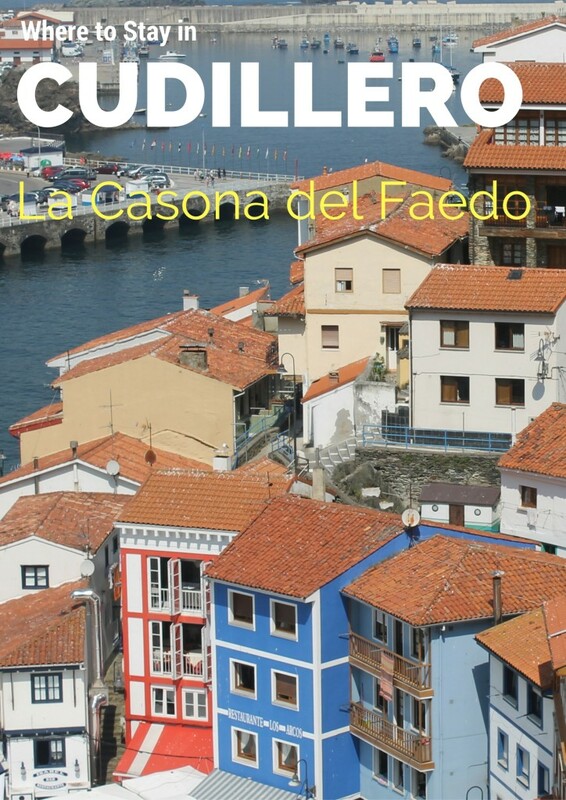 Like many who we’d meet that weekend sitting at a picnic table next to the small bar, they’d been fooled into thinking that the Concello do Cudillero meant the hotel was located right in the heart of the fisherman’s village of the same name. After a car ride that snaked though the Gaudarrama region, the empty plains of Castilla and the green hills and mountain ranges of the Picos de Europe, I was delighted to recognize the N-632 road that I’d walked three years prior. Down the steep hill, rather than turning west towards Soto de Luiña, we veered left, onto a two-lane road that climbed into the foothills of the Picos. Looks like we’d been fooled, too, but in the best way. A half-blind, mangy dog sporting dreadlocks greeted us as we pulled the car into an overgrown strip of parking adjacent to a canary yellow house, built towards the end of the 19th Century. Chispa, a younger dog, shot by him and jumped on me immediately. The property owner, Ángel, set down a basket of eggs he was carrying and offered a hand before taking our bags and leading us into the galeria asturiana, a hallmark of old country houses in these parts. The worn stairs alluded to the house’s history, rubbed thin and bowing in the middle. 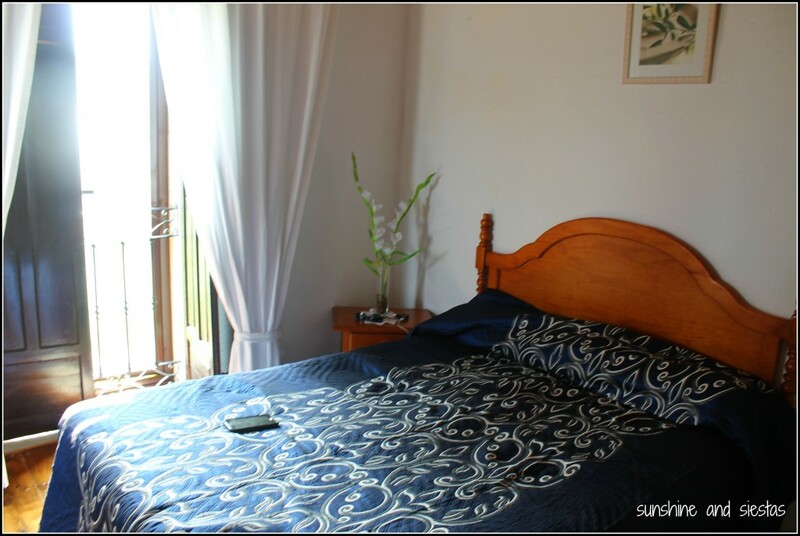 The second floor held several bedrooms: ours would be the one at the end of the hall, a room with a low ceiling, a wide double bed and an en suite bathroom. Truthfully, it did look like grandma and grandpa’s house. It was a little out-of-date, sure, but we aren’t travelers who spend much time in our hotel room anyway. I freshened up, windows wide open and looking out onto the terrace bar, an old hórreo and acres of rain-fed pastures, while the Novio had a beer downstairs. After only six weeks in Madrid, the damp air took my hair back to its original shape and body. We’d spend a decent amount of time on that patio, opposite one another on a splintery picnic table. The Novio, with his beer, and me with a tonic water, chatting. The wi-fi signal here was weak. Ángel and Agustina, his wife and the unrivaled matriarch of the house, are born and bred asturianos. The sort of salt of the earth people who take pride in their daily work and sing when they speak. 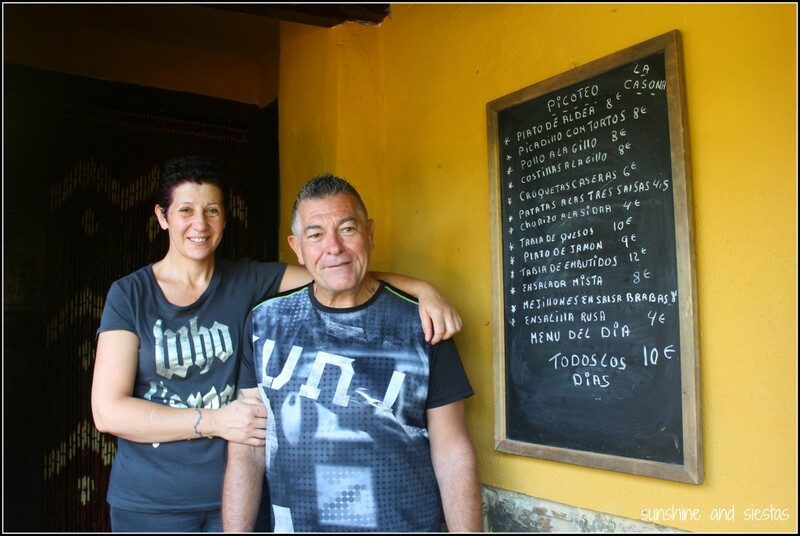 They’d spent nearly two decades in the Canary Islands as bar owners before returning to their tierra natal to take over the old bed and breakfast. Agu soon returned, a bounty of groceries spilling out of her arms. The fresh cheese would accompany our bread the next morning, the eggs whisked to coat croquetas – but the pale green fabines were hers to stew with clams. 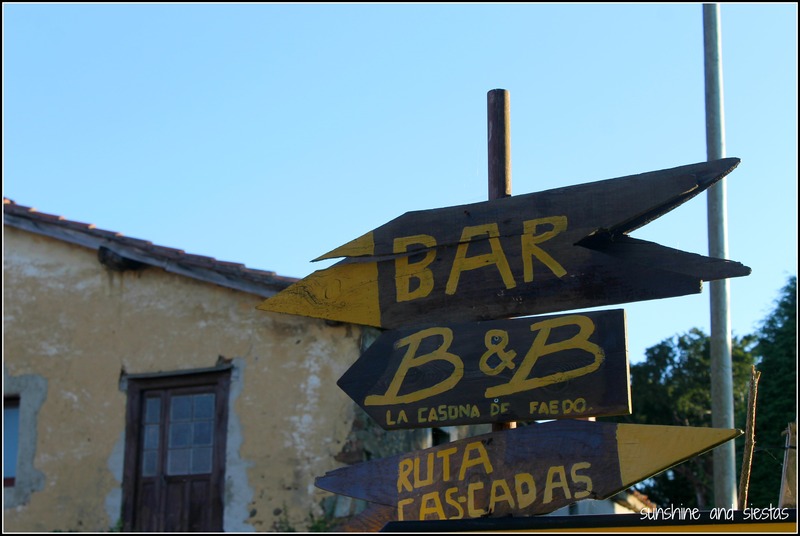 Every morning and afternoon, post-siesta, we’d descend the mountain in our rental car and explore the region – Playa del Silencio, the weekend markets at Pravia and Muros de Nalón, a family-run sidrería on a lonely road in a town whose name I’ll never remember. And Agu and Ángel were always there when we returned – in the kitchen and behind the bar, respectively. On our last day, me teetering on the edge of 30 and 31, the hotel owners informed us we’d have to move rooms due to a glitch in their new booking site. “No pasa nada,” I said. “Growing pains.” We gathered our things that morning and left them by the door. We were rewarded with an upgraded room and an invitation to have dinner, on the house. Our bags were set near the bed when we arrived back from the Concha de Arvedo beach that afternoon. More coquettish and with a breeze, we’d have to close the ancient wooden shutters that night when a storm rolled through the Concello. We filled up on cheese from somewhere across the valley, crumbling cabrales and fresh goat quesu, spread across bread that had been baked that afternoon. The croquetas were clearly homemade, lumpy and bursting with bechamel sauce and hints of leeks, and the pollo al chilindrón practically fell off the bone. 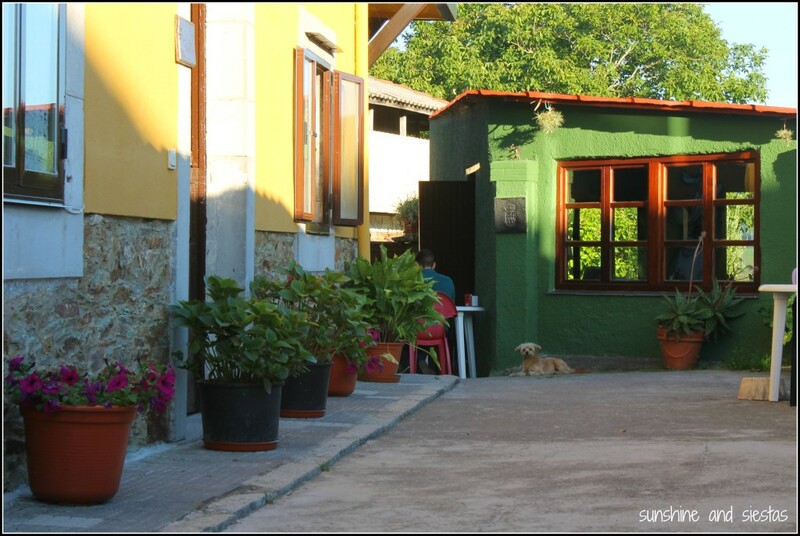 As if the location of the Casona wasn’t enough of a privilege, the food and the company was beyond what we expected from a budget bed and breakfast. It was one of those places where faces become familiar over breakfast, where the mini fridge is stocked with cans of Coke and whatever you’d picked up at the market that morning, and you’re greeted with a drink as soon as you’ve arrived. 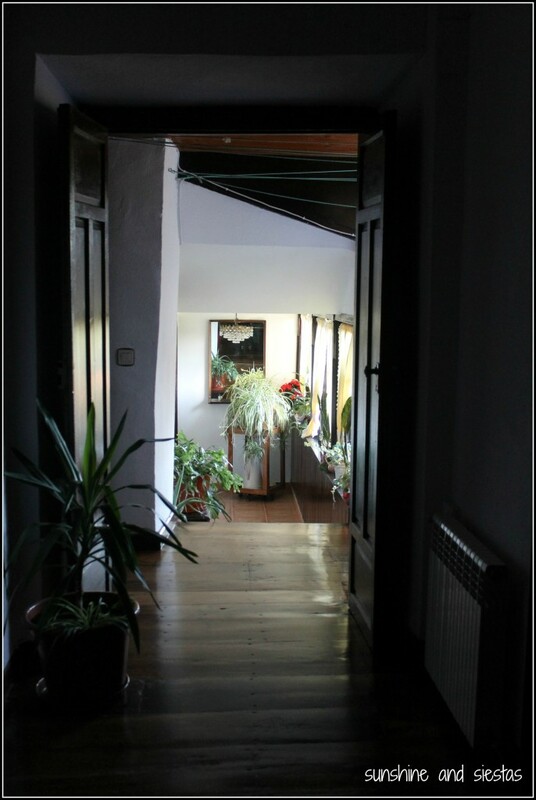 If you go: La Casona del Faedo is a small, rural homestay located about 6 miles due south of Cudillero and reachable only by car. From Oviedo, take the A-8 to exit 431. Follow the N-632 for 1.5 kilometers and, at the bottom of the mountain, turn left onto the CU-4. The town of Faedo is seven kilometers along. You can reserve on Booking.com for around 50€. Read more about our Asturias road trip! 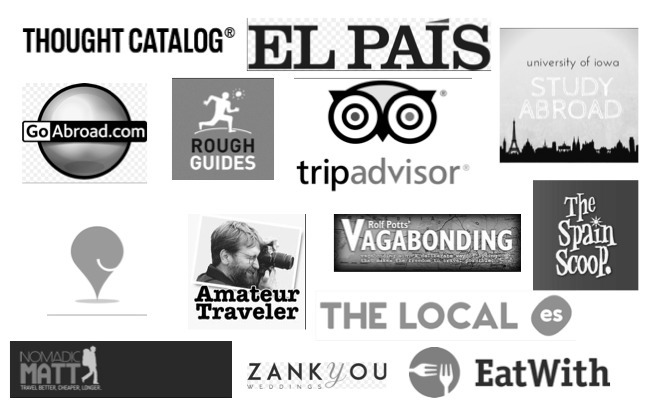 I was not paid in any way for this article, save genuine hospitality on behalf of the owners. All opinions are my own. 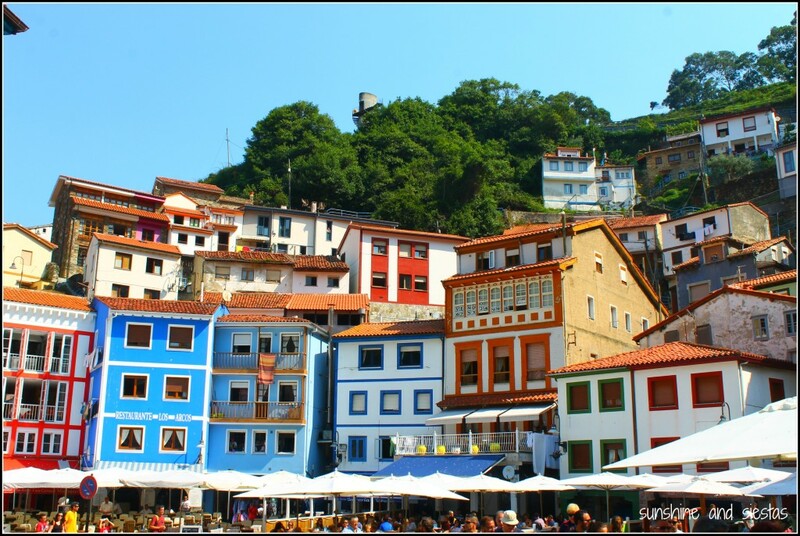 Do you have any recommendations for Cudillero or Asturias? Grado has a traditional market every Sunday and Wednesday, just like Cangas de Onís. El Corte Ingles (departament stores famous in Spain) has to see with America with Cuba and with Grado, was a tailor shop in Madrid, which, an Asturians (they were born in Grado) acquired it, who they had emigrated to Cuba, and they had worked in “El Encanto” Havana, also founded by Asturians.